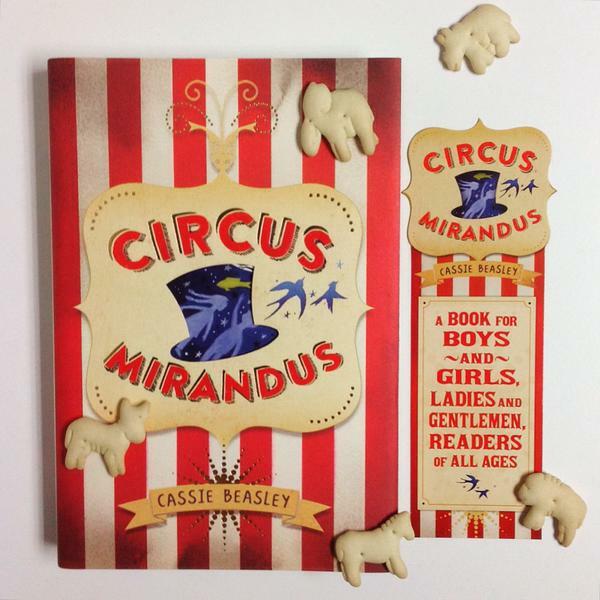 I've been looking forward to celebrating Circus Mirandus' book birthday ever since I devoured it on January 11! It is an awesome page-turner that will keep you up all night reading. 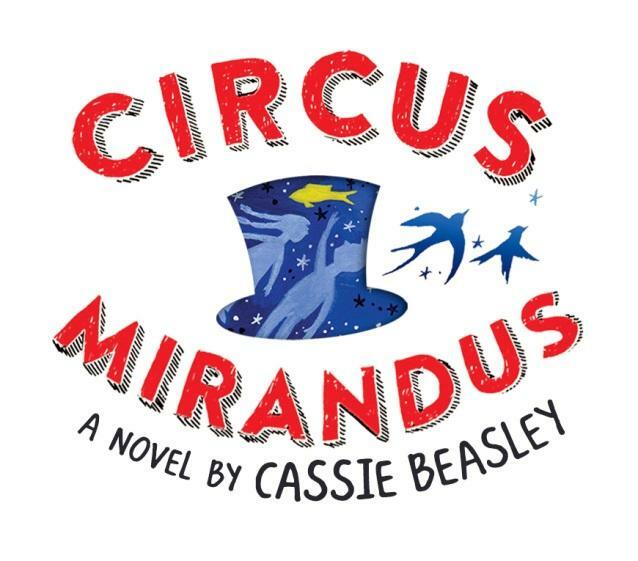 Cassie Beasley dropped by to chat with me about Micah Tuttle, Great-Aunt Gertrudis, school libraries, reading, and nErDcampMI. I wrote the words in orange, and she wrote the words in black. 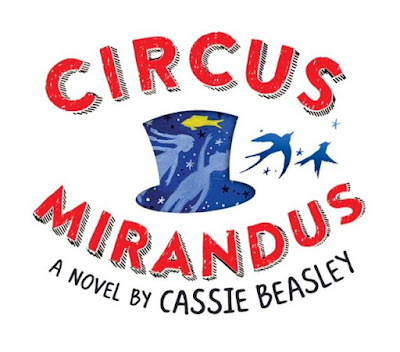 Thank you, Cassie! Micah Tuttle believes even when believing is a really hard thing to do. And I think it gives him the courage he needs to get things done. 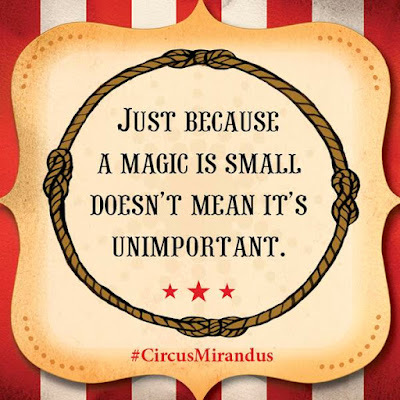 Getting into a magic circus isn’t always easy, but believing you might be able to manage the job is the first step. I think Great-Aunt Gertrudis is a little less horrible than Micah thinks she is. Just a tiny bit less, mind you, because she is not at all the person she could be, and she’s a world away from being the aunt he needs. She’s bitter and hurtful, but she’s not completely devoid of human feeling. She does spend weeks caring for Grandpa Ephraim, after all, even though she hasn’t been close to him for decades. There must be a stubborn shard of love in her somewhere. 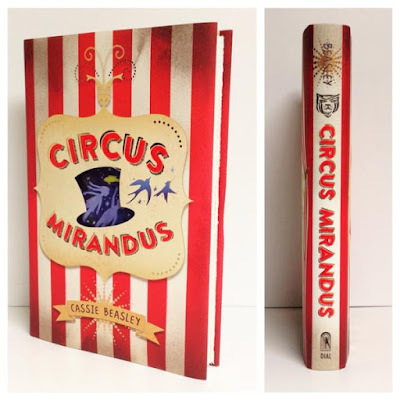 Circus Mirandus’ cover and case are proof that magicians are real! They were obviously all called in to work on the design. The top hat cutout is extremely cool. The art is by Diana Sudyka. Bibi, the tiger, looks like she’s about to spring right off the case, doesn’t she? I could spend hours (okay, I already have) staring at just the outside of the book. There are so many details to take in and so many tantalizing hints about the story! 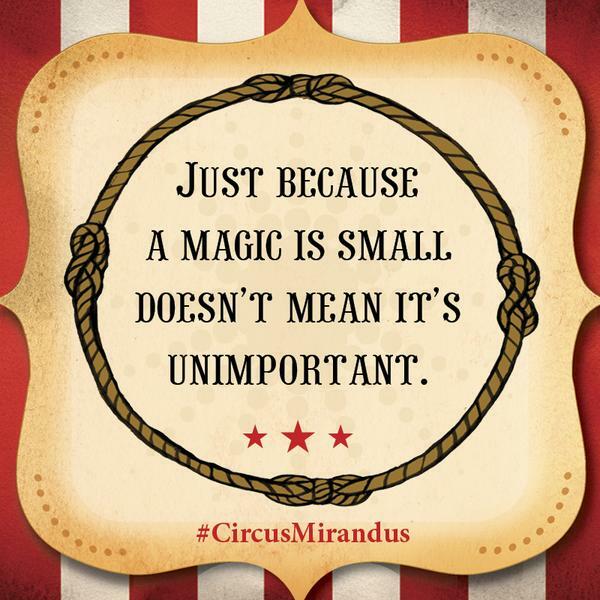 I wrote Circus Mirandus because I couldn’t not write Circus Mirandus. I was working on a completely different book when Micah and Grandpa Ephraim appeared. I try not to jump into new books before I’ve completed the ones I’m currently writing because that’s a recipe for never finishing anything! 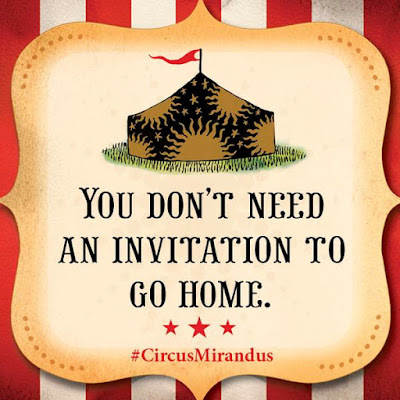 But with Circus Mirandus I couldn’t help myself. I think some stories are just ready to be told, and I’m grateful that this one found me. 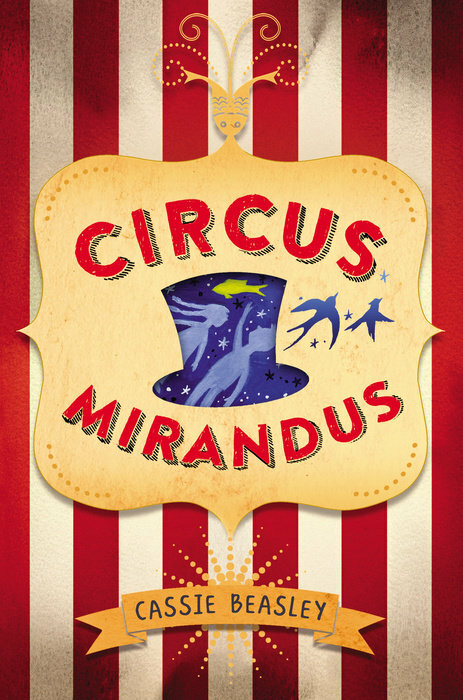 Scott Steindorff and Dylan Russell believe in Circus Mirandus so much that they’ve optioned the film rights! This was so unexpected and so exciting, and the idea that I might one day be able to see the circus and the magic and the characters on-screen is amazing! 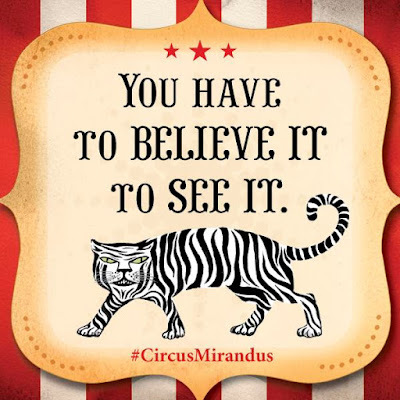 I think there are a lot of visual elements, particularly when Micah is at the circus, that will translate so well. One of the most interesting things about writing a novel is how well you know your characters when you get finished. You know bits of their pasts that nobody else will ever learn, and you’ve imagined them saying and doing things that nobody will ever read. One of my very favorite characters in Circus Mirandus, the Lightbender, has such a long and fascinating history, but he’s quite mysterious in the book. It’s fun to have that knowledge, and it’s great when readers share their own guesses about the backstory, especially when they’re right! 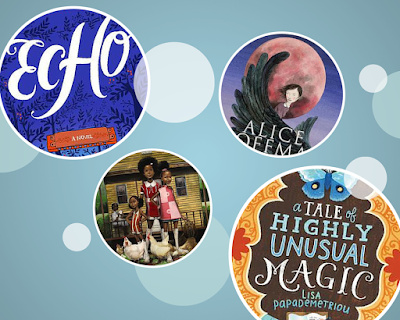 School libraries are places where you can become a better person by experiencing other peoples’ stories. I think that when we read books, especially as children and teenagers, we are saving up a personal box of tools that we will carry with us for the rest of our lives. Of course, some of those tools are informational; books can teach you how to build a birdhouse or set a table if that’s what you need. But I think the most important tools we can gain in a library are the spyglasses that let us peek into other peoples’ lives. Reading a well-written book is such an immersive experience. When you find yourself inside the mind of a character who thinks very differently than you do, you often begin to empathize with him or her, and by the end of the story, you realize that this person with a different point of view and a different background isn’t such a stranger after all! I think that’s pretty special and pretty powerful. Mr. Schu, you should have asked me what I’m going to do now that Circus Mirandus has finally arrived. 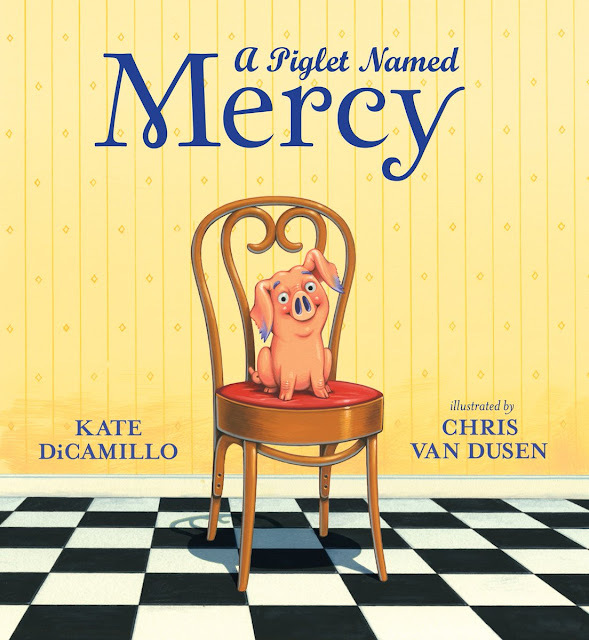 First of all, I’m really looking forward to attending nErDcampMI in July! And you probably won’t be surprised to hear this, but I’ve got books stacked all over the place that I haven’t had time to read with all of the excitement. 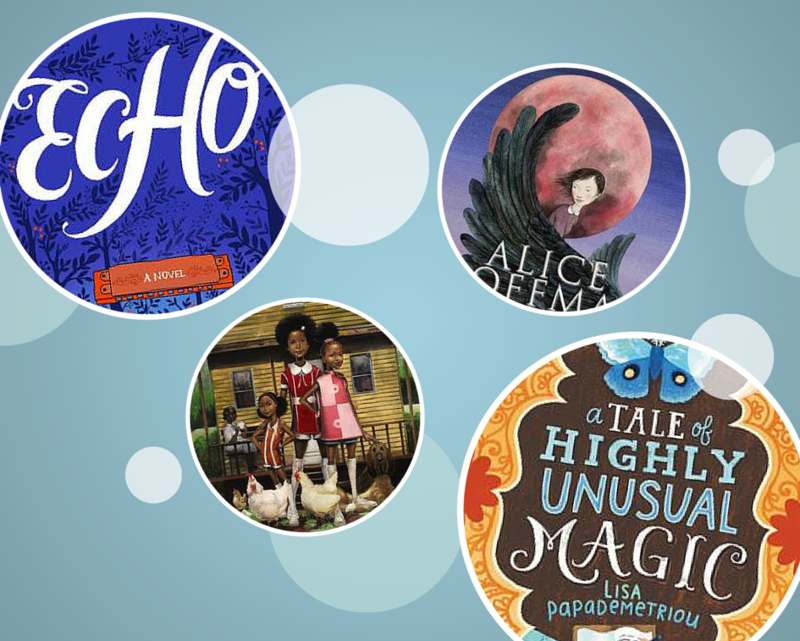 I’m going to dive into Echo by Pam Muñoz Ryan, Nightbird by Alice Hoffman, and Rita Williams-Garcia’s Gone Crazy in Alabama. 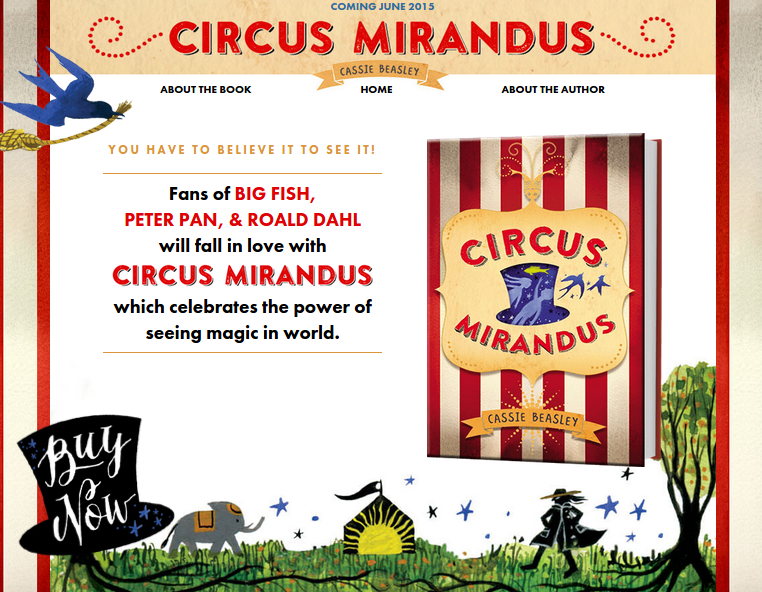 I’ve also got my hands on an ARC of A Tale of Highly Unusual Magic by Lisa Papademetriou, and I can’t wait to get started on that! Now all I have to do is decide just how many books I can read at one time. Borrow Circus Mirandus from your school or public library. Whenever possible, please support independent bookshops.